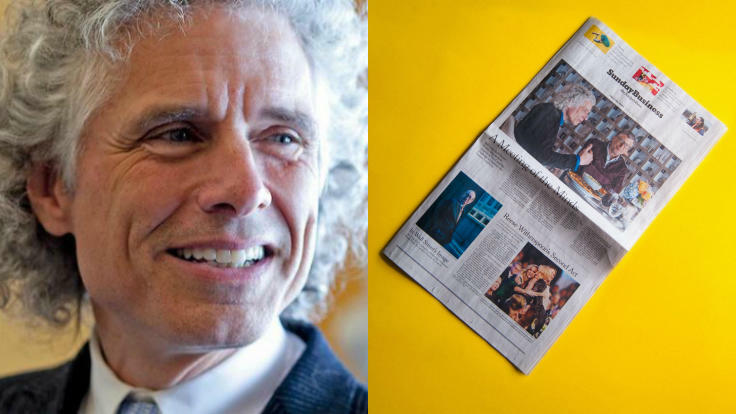 Last year, Bill Gates called speaker Steven Pinker’s The Better Angels of Our Nature “the most inspiring book I’ve ever read.” Now, in anticipation of Pinker’s “sequel,” Enlightenment Now, the two friends met for a front page New York Times Sunday Business feature aptly headlined A Meeting of the Minds. “The world is getting better, even if it doesn't always feel that way,” writes Gates in his review of the book. “I’m glad we have brilliant thinkers like Steven Pinker to help us see the big picture. Enlightenment Now is not only the best book Pinker’s ever written. It’s my new favorite book of all time.” Discussing what motivates them to believe that humanity is improving, Pinker elaborates on the evidence-based argument that shows how just how different contemporary societies are from their predecessors, which he brings as a speaker to his brand new keynote on the subject. To learn more about speaker Steven Pinker or to book him for your next event, contact The Lavin Agency today, his exclusive speakers bureau.